Duncan Brown has recently been given this photo, which shows Alan Wright with his father (Charlie Brown), the small boys being Alan's nephew, John Saich. The only information is that it was taken after a cricket match, possibly in the Tilmanstone area. 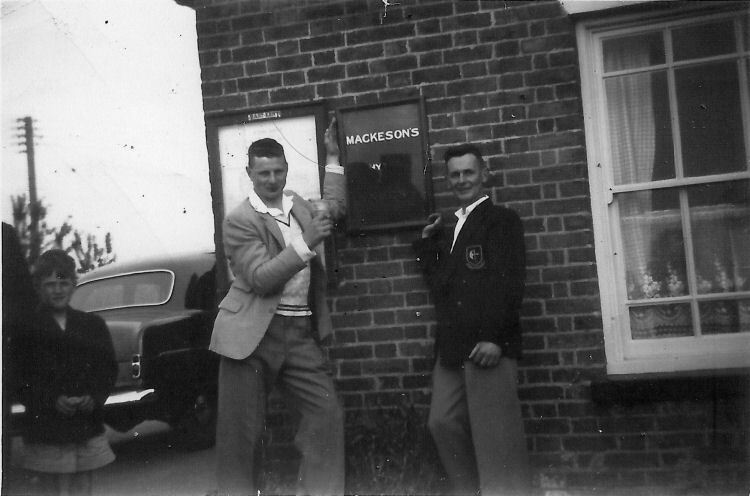 It was obviously on a bus route as the sign left indicates, and sold Mackeson. I thought it was actually the "Plough" at Ripple, but counting the bricks between the window and end of pub it's not. From an email received 18 August 2017. Been wracking my (tiny) brain for months over this one - I've finally cracked it, having come across a pic I knew I had somewhere. 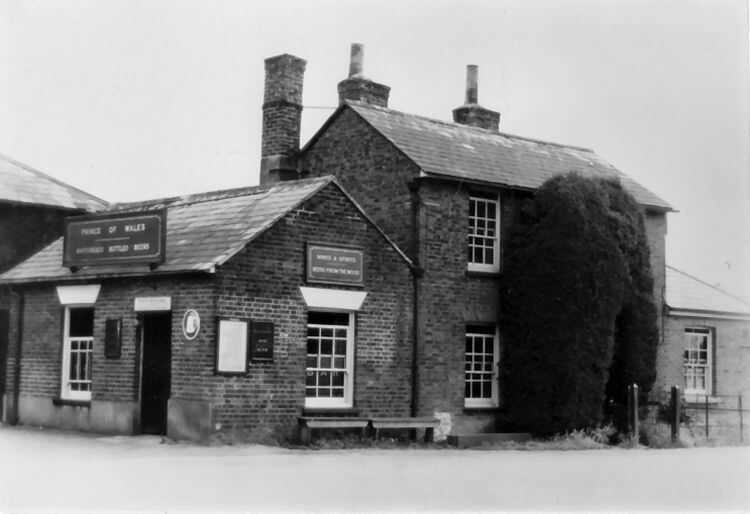 It's the "Prince of Wales" at Woodnesborough, closed in 1966, and which still stands at a road junction - see the attached pics!